The simple logic is that prices aren’t the same in each country: A shirt will cost you less in Shanghai than San Francisco, so it’s not entirely reasonable to compare countries without taking this into account. Though a typical person in China earns a lot less than the typical person in the US, simply converting a Chinese salary into dollars underestimates how much purchasing power that individual, and therefore that country, might have. The Economist’s Big Mac Index is a great example of these disparities. So the IMF measures both GDP in market exchange terms, and in terms of purchasing power. On the purchasing power basis, China is overtaking the US right about now and becoming the world’s biggest economy. When I first learned about this, I was quite stunned. I knew that China’s economy had been roaring, but like most Americans I just assumed that the U.S. would continue to remain head and shoulders above everyone else. #1 When you add up all imports and exports, China now accounts for more total global trade than the United States does. #2 There is now more total corporate debt in China than there is in the United States. #3 During 2013, we sold about 121 billion dollars worth of stuff to the Chinese, but they sold about 440 billion dollars worth of stuff to us. That was the largest trade deficit that one nation has had with another nation in the history of the world. #4 China is now the leading manufacturer of goods in the entire world. #5 Back in 1998, the United States had 25 percent of the world’s high-tech export market and China had just 10 percent. Today, China’s high-tech exports are more than twice the size of U.S. high-tech exports. #6 The United States had been the leading consumer of energy in the world for about 100 years, but during the summer of 2010 China took over the number one spot. #7 China now has the largest new car market in the entire world. #8 China has more foreign currency reserves than anyone else on the planet. #9 China is the number one gold producer in the world. #10 China is also the number one gold importer in the world. #11 15 years ago, China was 14th in the world in published scientific research articles. But now, China is expected to pass the United States and become number one very shortly. #12 China is also expected to soon become the global leader in patent filings. #13 China awards more doctoral degrees in engineering each year than the United States does. #14 China has the world’s fastest train and the world’s most extensive high-speed rail network. #15 China uses more cement than the rest of the world combined. #16 Today, China produces nearly twice as much beer as the United States does. #17 85 percent of all artificial Christmas trees are made in China. #18 There are more pigs in China than in the next 43 pork producing nations combined. #19 China is now the number one producer of wind and solar power on the entire globe. #20 China produces more than twice as much cotton as the United States does. #21 China produces more than three times as much coal as the United States does. #22 China now produces 11 times as much steel as the United States does. #23 China controls over 90 percent of the total global supply of rare earth elements. #24 An investigation by the U.S. Senate Committee on Armed Services found more than one million counterfeit Chinese parts in the Department of Defense supply chain. #25 According to author Clyde Prestowitz, China’s number one export to the U.S. is computer equipment. According to an article in U.S. News & World Report, the number one U.S. export to China is “scrap and trash”. #26 Nobel economist Robert W. Fogel of the University of Chicago is projecting that the Chinese economy will be three times larger than the U.S. economy by the year 2040 if current trends continue. The Chinese are using some of their new wealth to buy up land, properties and businesses here in the United States. In fact, just the other day we learned that a group from China is buying New York City’s Waldorf Astoria hotel. And most Americans don’t realize this, but Chinese-made cars will soon be sold in the United States. Chinese-made cars will be making their way to the U.S. next year, and guess which company is going to start exporting them to our shores? A Chinese company, of course. Chinese-owned Volvo’s parent company, Zhejiang Geely Holding Group, will begin exporting its S60L from China to the United States as early as next year, according to a Reuters report which quoted a senior Volvo executive. Volvo is trying to take advantage of two new Chinese factories that will make up an export hub to send vehicles to the U.S. and Russia. Everywhere you look, China is dominating and America is in decline. If this was a sporting event for little kids, the “mercy rule” would have been invoked by now. Unfortunately, there is no “mercy rule” on the global economic stage. The United States is going to have to get things together if it wants to have any hope of competing with the Chinese in the future. The Chinese are kicking our tails and they know it. 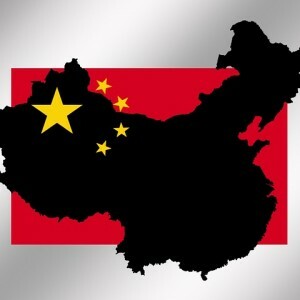 One survey found found that 75 percent of those living in China believe that their country is on the right track. On the other hand, Americans are not nearly as optimistic. According to one average of recent surveys, only 28 percent of Americans believe that the United States is on the right track. I think that those numbers say a lot. We have been in decline for quite some time, but we can never seem to get the ship righted. Hopefully our leaders can start coming up with some solutions soon, because we are running out of time.